We stayed for a week at this fabulous property and it had everything we wished for. The view is absolutely stunning - directly onto the Mediterranean Sea with a 180 degree vista - amazing. However it is not just a property with a view. It was spotlessly clean on arrival and is well equipped. The terrace has an abundance of furniture for both sun bathing and al fresco dining with large easy to use awnings providing much needed shade. The pool is close by and was also very clean and had sun beds available for all to use. 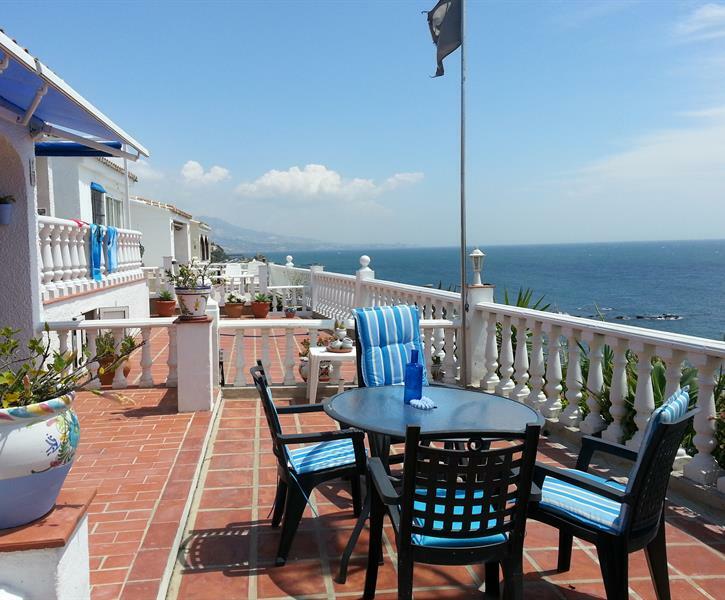 There is a supermarket and 3 bars / restaurants within 1 minutes walk of the property and 2 minutes walk away were the bus stops with frequent buses to both Fuengirola or La Cala de Mijas where there are lots of quality restaurants and bars. The location is such that a car is not necessary although if you do have a car there is free parking directly outside the front door. Francisco was very friendly and helpful, meeting us on arrival and ensuring we were aware of all the facilities the property had. We are certainly planning to return and would recommend it without reservation.